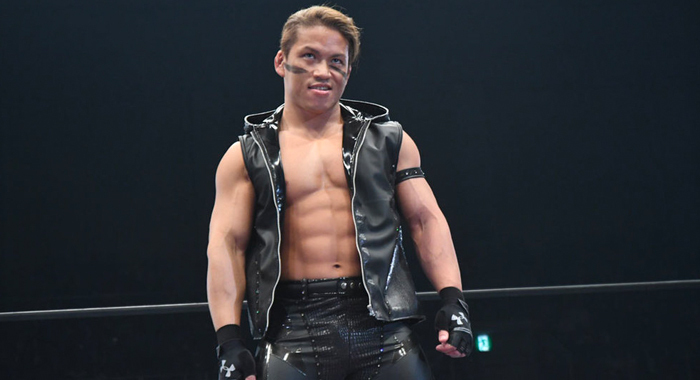 New Japan Pro Wrestling has posted an interview with current IWGP Junior Heavyweight champion Taiji Ishimori. In the interview, Ishimori talked about his match with Japanese legend Jyushin “Thunder” Liger. Ishimori was surprised to find out that Liger is retiring. Liger has been in the business since 1984 and has obviously more than earned his retirement. But according to Taiji, Liger hasn’t lost a step at all. But The Bullet Club member also talked about the upcoming G1 Supercard on April 6. The event is a huge night for New Japan, as well as Ring of Honor, as both companies are promoting the G1 together. Ishimori will defend his Junior Championship in one of the event’s most anticipated matches when he faces both Bandido and Dragon Lee. Streaming LIVE NEXT SATURDAY April 6 for ALL #HonorClub members!